From over at The Big Picture, we have two interesting graphics that show the difficulty in the mortgage and housing markets. 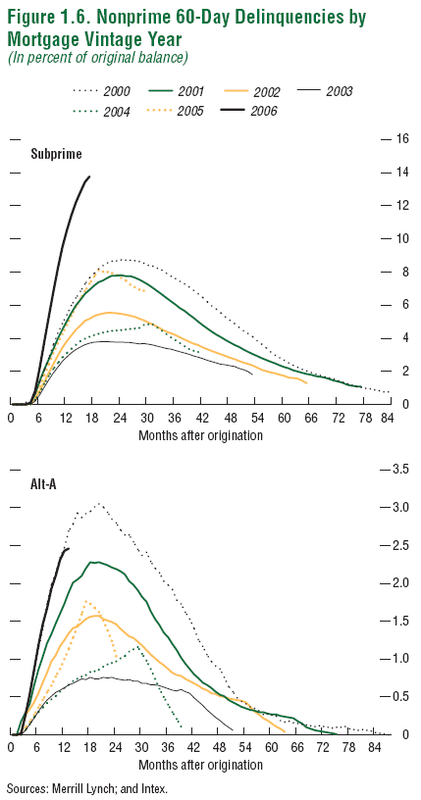 The ongoing APR mortgage reset process isn’t expected to peak until some time in 2008. 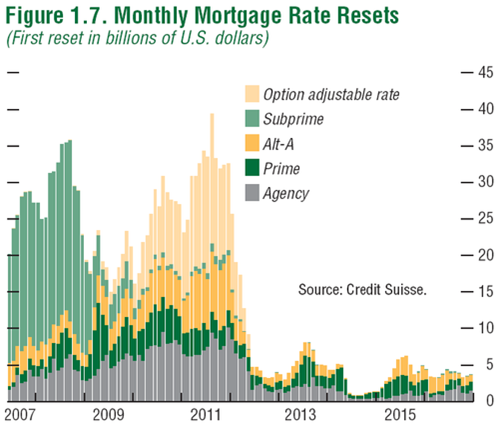 Following that, we see a new surge in resets, as Option Adjustable Mortgages begin to come up in 2010-11. Note that these are non-subprime mortgages.